On Tuesday, September 9th, 2014, the Movimento Trieste Libera – Gibanje Svobodni Trst – Bewegung Freies Triest – Free Trieste Movement, which is the main political organization of the citizens of Trieste, lead by Roberto Giurastante, and its Austrian delegation, represented by Claudio Schiesl, have succesfully opened a new politic-diplomatic action from Vienna, for the Free Territory and international Free Port of Trieste, currently entrusted to the administration of the Italian Government. 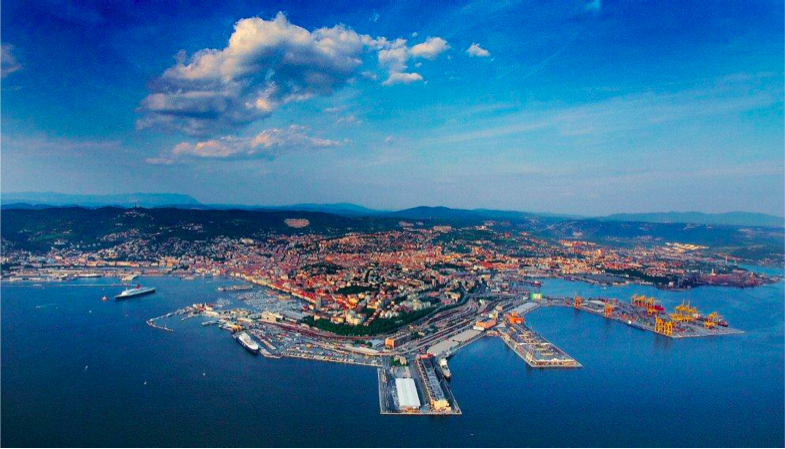 It consists in the “Atto di diffida internazionale – International Notice” that Free Trieste has sent the very same day to the Italian Government, the Security Council of the United Nations and to all Countries holding rights and interest over the Free Port of Trieste. The act has been shared and presented in Vienna, both during the press conference and sent via e-mail to Austrian media, the foreign correspondents and to the embassies of all concerned States. The formal notice, with its 36 pages (33 in English) summarizes and clarifies the legal status of the Free Territory and international Free Port of Trieste, and proposes a complete, coordinated text for a decree of the administering Italian Government, following the consent of the Security Council, for the needed application of the articles from 1 to 20 of Annex VIII over the international Free Port of Trieste. In case the Italian Government insists in not respecting its obligations, the international Notice Act requires that the Security Council and all concerned States entrust the temporary, trusteeship mandate to an Authority of the United Nations or to the Government od another State: Austria, which has created the city and free Port of Trieste, or neutral Switzerland, which holds as well important rights as for the Free Port, or the United States and United Kingdom, which have well-administered Trieste from 1947 to 1954. This action has awaken a huge political interest and the attention of the press, bot in Austria and other Countries. We are publishing the text in German, Italian and English as for the presentation held by the spokesman of the Movement, Paolo G. Parovel, and the Italian and English texts of the Formal International Notice that, along the previous “Complaint and Notice of Default” (2013) it the professional, grounding instrument produced by the Free Trieste Movement to successfully defend the Free Territory and international Free Port ofTrieste.